Once in a while, a maverick who is eager to blaze a trail comes along in the entertainment world. 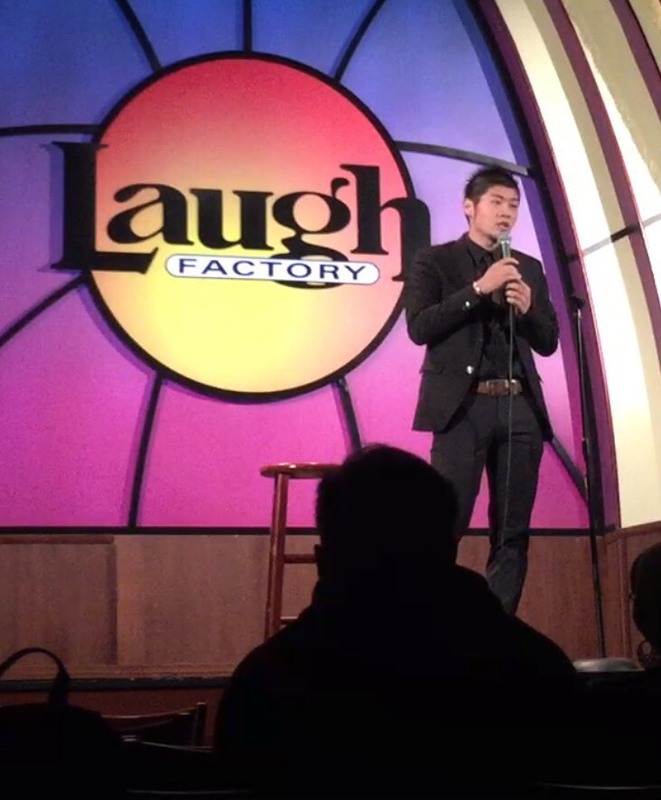 Tokyo- and Chicago-based stand-up comedian Saku Yanagawa considers himself just that — a world-traveling comic who delivers his unique, biting perspective shaped by life lived in Japan. In a country where “the nail that sticks out gets hammered down” and political satire and commentary, especially on Japanese TV and in the mainstream media, are often frowned upon, Yanagawa is quick with the quip. 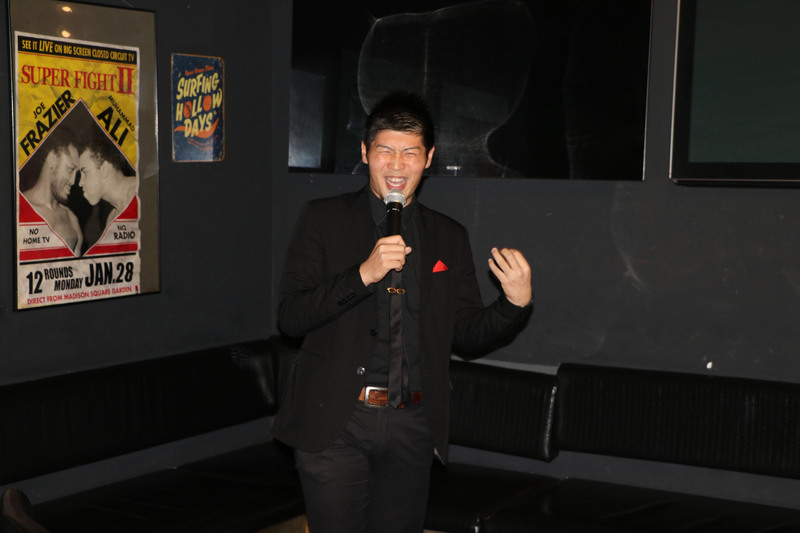 Hailing from Nara Prefecture, probably better known for stags than gags, the 25-year-old Yanagawa got his start in comedy in 2014 through a TV show about Japanese stand-up Rio Koike, aka “Jimmy T,” who made his own mark on the New York comedy scene. “I thought, ‘Wow, he’s cool. I want to do that. So I looked for him on Facebook. I found him, messaged him and went to New York the next day,” Yanagawa says of Koike who has now returned to Japan to write a book about how to master English. As a boy, Yanagawa aspired to be a professional baseball player but damaged his arm playing shortstop. He jokes he did not make it big because his need for Tommy John surgery went undiagnosed. While studying at Osaka University, where he earned a bachelor’s degree in literature specializing in theater and music, Yanagawa went to the Big Apple to meet Koike, his eventual mentor, who spent several years there. Since then, Yanagawa has been on a mission to perform regularly, settling into the comedy scene in Chicago, the backdrop for the iconic 1980 film “The Blues Brothers,” which became a formative creative influence on him as a teenager. The way sharp wit can be a useful tool in life was apparent to him from an early age, Yanagawa says, drawing him to comedy where wisecracks are weaponized. Yanagawa says in order to get his shot in Chicago he had to convince club owners to take a chance. 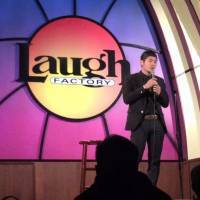 He has since had stage-time at famous locales like Laugh Factory, The Second City and Zanies Comedy Club. In November, Yanagawa took his talents to Africa for two weeks, performing in Kenya, Rwanda and Uganda. He was invited as one of the headliners for the Kigali International Comedy Festival and appeared on Kenya’s “Churchill Show,” which is broadcast nationally and hosted by comedian Daniel “Churchill” Ndambuki. 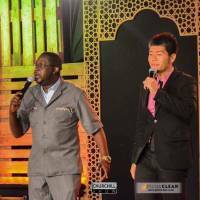 He appeared in Rwanda’s first ever comedy festival after a Kenyan comedian whom he met in Japan hooked him up with the organizers. “I really wanted the challenge to see if my comedy would work in Africa,” Yanagawa says, adding that he was also searching for a place to perform outside of the United States and Japan. 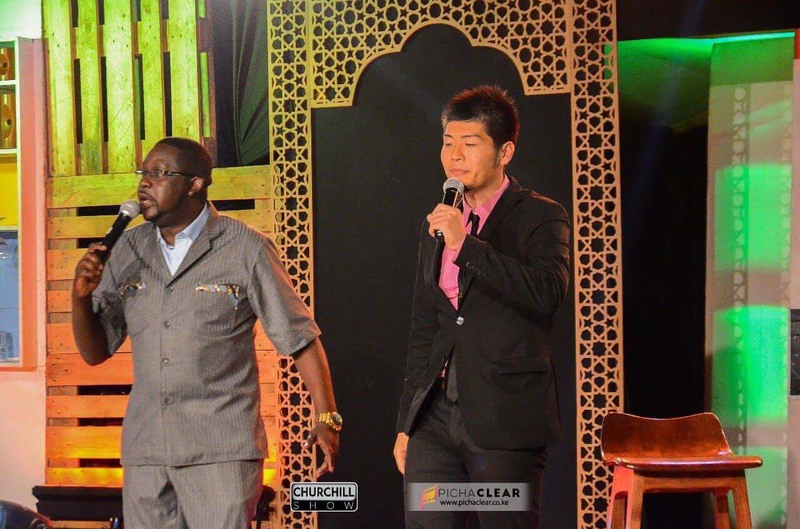 “Churchill Show,” filmed in Nairobi is considered one of the most high-profile TV programs in East Africa, but even a show of that status was apparently not prepared for a Japanese guest, much to Yanagawa’s amusement. In the routine, which can be viewed on YouTube, Yanagawa reeled off joke after joke, referring to local customs and culture while also using his self-deprecating shtick. Foreign audiences are completely different from those in Japan, he says, but that’s what keeps Yanagawa on his toes — sometimes literally — especially when a joke bombs. He says the most challenging aspect of doing comedy in a language other than his mother tongue is being able to ad-lib, especially when dealing with often rowdy hecklers. 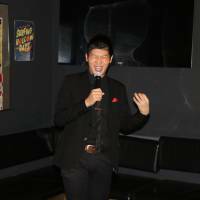 Yanagawa, who performed 89 shows in 28 cities across five countries in 2017, also does a two-hour stand-up show each month called “Saku’s Comedy Night” in Nakano, an edgy suburb of Tokyo. He models the show on sketches he has seen on “Saturday Night Live,” a program that he aspires to become a regular on some day. Some experts argue that political satire has been discouraged in Japan since the Edo Period (1603-1867) with restrictions levied further after World War II, largely due to pressure from the government and the country’s conservative elite. Yanagawa seemingly agrees, saying he thinks Japanese TV is too restrictive for him. “Even in daily conversation people don’t talk about politics in Japan. They think it’s taboo. I love Japanese comedy, too, but most of it is based on our daily lives. The comedy is different since Japanese come from a murashakai (village society)” mentality, he says. Ultimately, Yanagawa wants to perfect jokes about other cultures, giving him a path to his goal of being the first Japanese regular on “Saturday Night Live.” He draws perspective from how many Japanese baseball players have made it big in the majors, but says as a comedian he must take a route outside Japan. For more information on Saku Yanagawa, visit www.sakuyanagawa.com.